Contents: Double page spread of stickers and 24 pages of colouring sheets. 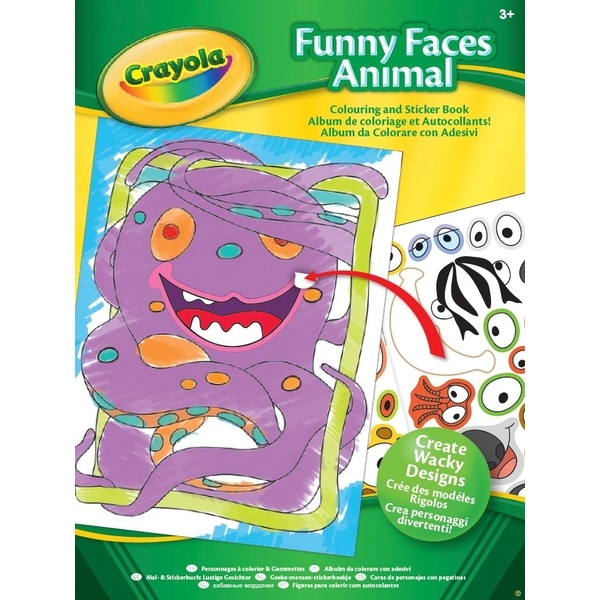 You will have great fun making funny faces with these sticker and colouring books. Simply colour in your funny face, then choose which stickers you want to make the drawings more wacky. Choose from Funny Face People or Funny Face Animals Sticker Books. Both books contain a double page spread of stickers and 24 pages of colouring sheets.